If you’ve ever had a dream to leave your hometown or even your country in search of success this book is a must read. 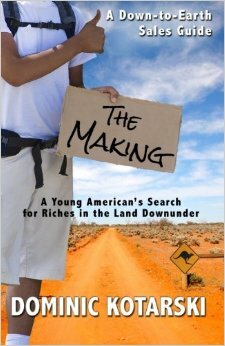 Join Dominic as he leaves his home in Tennessee and travels to Australia on a “Success Adventure”. 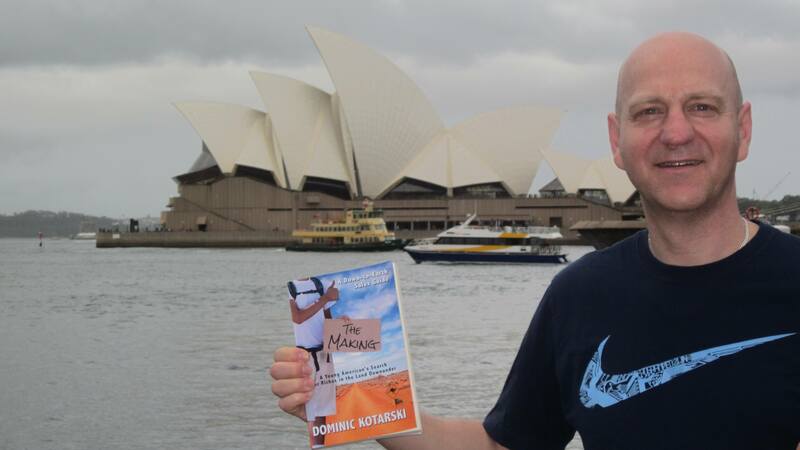 Follow him through the streets of Sydney where he discovers powerful sales principles, teambuilding tactics and business strategies that propelled him on a journey to reach his ultimate goals. His story can easily be your story when you apply his framework and embrace your possibilities. This is a must read book for everyone in the sales industry. Dominic gives some great advice for all sales people – new and experienced. He does not preach, but rather takes you on a heart warming journey of his personal and professional experiences while traveling in Australia. I’ve started applying some of what I’ve learned to my everyday routine and the results have shown! Ironically, I met Dominic on my lunch break while selling in my territory. He is a personable and encouraging person – traits which shine through this book. Great read! I read it in essentially one sitting… simple, straight forward, fun, with powerful lessons. Recommended for anyone who is in sales, management, or owns a business. 5.0 out of 5 stars What a great way to find back to the basics of sales! After the first couple of pages it was hard to leave the book behind – found myself smiling and day dreaming back to the days when I started in sales – exciting! When you have been in sales in several years you forget the little things which are so important. This book is an incredible reminder of all these things and everyone in sales and team building – novice or expert – can get loads of tips from this easy-to-read book. Go for it – and enjoy!! 4.0 out of 5 stars Wow , Great Book ! Great Sales Tool . A very easy book to read . This book is suitable for any young ambitious guy/girl who is seeking to enter the sales industry and wants to become successful . A MUST read book ! I like how Dominic was reflecting alot on his early experiences and momories on how he started as a sales person . This book has made me go back in time , when I started my career in sales industry and reminded me how much challeneges and enjoyment I had in developing as a person in both personal and professional aspect of my life . 5.0 out of 5 stars I loved it! My feet are itchy! An honest story about ‘living ones dream’without even knowing this is your dream! Lots of useful tips about how to start off in business. Who knew that door-to-door-selling can teach you so many valuable business lessons? You don’t need to sell, just read this book and you will know! Loved the story line (plain and simple) and all the useful, helpful tips. Everything from how to start a business, how to recruit, how to keep your crew motivated, how to succeed! Nicely written in easy to understand language! Perfect for every salesman or traveler or somebody like me who wants an easy to digest, useful book! I only recommend books I’ve personally read and gotten something out of! Once again, I only recommend books and authors that have added value to my life and business!